the Family who Adopted me. | china-land. the Family who Adopted me. There I was sitting in my artist’s studio watching my friends get inscriptions with a needle when my phone rang. The following day right at 3PM my doorbell buzzed. Sure enough it was a mother, daughter, and the daughter’s friend. I was positively confused as to what they wanted. They were so nice though. It was in between rainstorms and inside my living room you could bite the air. 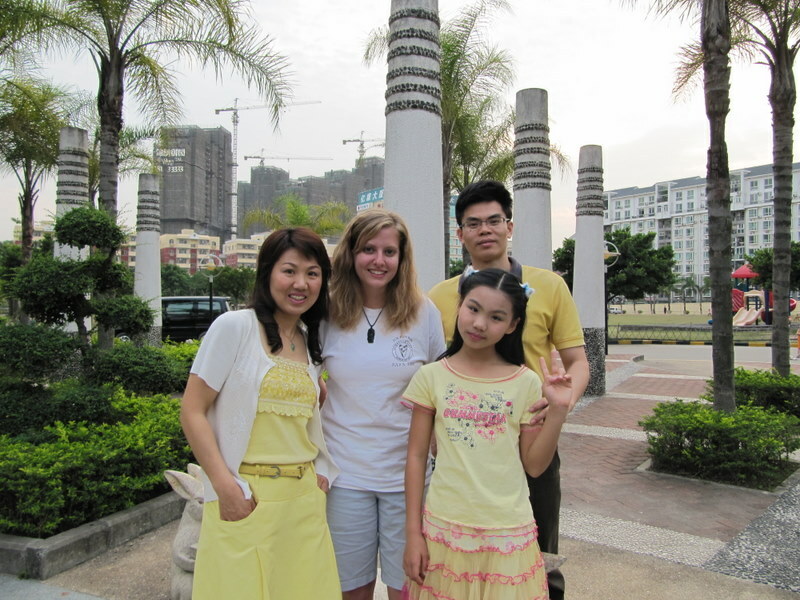 I wracked my brains as to how a sweet hostess acts towards guests in China. I immediately offered fruit and hot water or tea, they seemed pleased. My apartment was less than tidy. The mama introduced her daughter and her daughter’s friend. Her daughter’s name was Alice. Alice wanted to learn English. This was April 17th. I remarked that I had about a month before I would be leaving and they said that was fine. So we chit-chatted for close to two hours after I had negotiated that my going rate would be ~30.00 USD an hour. They didn’t bat an eyelash. I was not expecting them to stay for so long nor was I expecting payment that day! We set up tutoring for the following Sunday. Next Sunday I found myself in their gorgeous home inside my garden so not a long walk at all. The Baba wasn’t home yet and the Mama looked beyond happy I had arrived. She prepared the most beautiful fruit dishes and even made me eat an entire papaya and then invited me to stay for dinner. The Baba came home and they immediately wanted to take pictures outside in both regular attire and Alice wearing traditional with her Chinese instrument resembling a flute — hu lu si. Their story was interesting. Baba’s father was from Indonesia and his mother was from Thailand somehow they came to China. 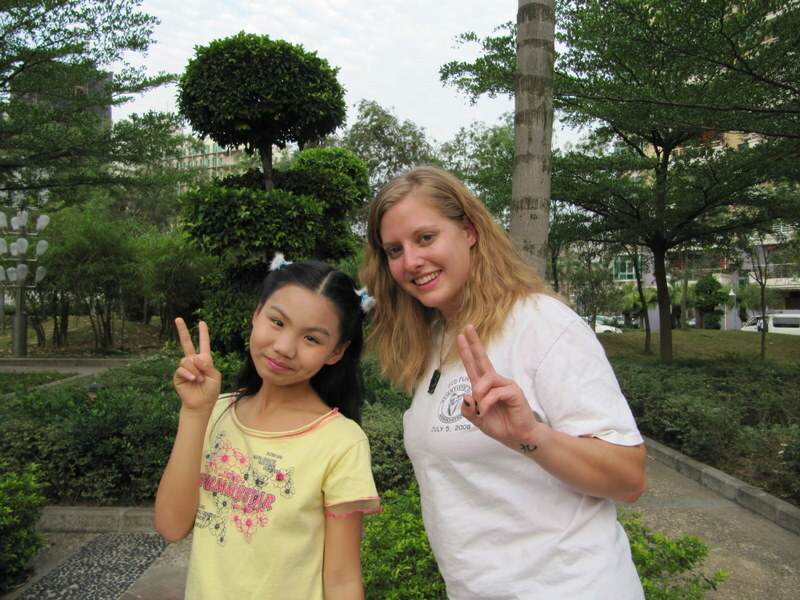 They also took many trips during the summer and showed me some pictures of travels through China–beautiful. So this is how I spent most of my remaining Sundays. Teaching Alice and Baba Mama some English and eating delicious fruit and having dinner with the family. At one point they forced ‘Durian’ on me. 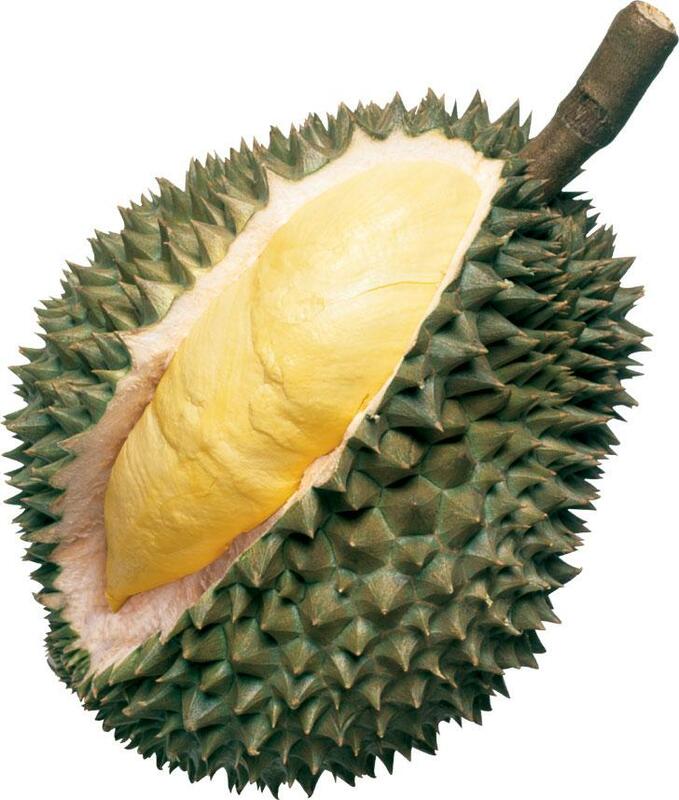 Durian is the same consistency as custard. The smell does not bother me but it bothers most people and in Singapore it is banned to even open a durian due to the wretched stench. The initial bite was fine, it was the aftertaste that did me in. I realized I could probably at some point acquire a taste for this fruit but right now I don’t feel like it. One night, Mama put on some home movies of Alice when she was a baby. Mama kept laughing at what a cute baby Alice was. At one point calling her ‘such a fat little pig!’ Typical. Sometimes we all played basketball together and they even tried to hook me up with a friend of theirs. Thankfully he was never able to eat dinner with us. My last evening with the family was one of the sweetest. The family was preparing to give a speech for the upcoming Universiade. The speech was to be in English and Alice would play the hu lu si, Baba would sing, and Mama would do tai qi. I helped them word the speech better in addition to giving all of them tips on uses of inflection and their pronunciation. Needless to say it was adorable. I am definitely visiting them when I return. This entry was posted in Uncategorized and tagged Chinese culture, Chinese students, dafen, longhua, tattoos. Bookmark the permalink. 1 Response to the Family who Adopted me.